Most of the easily accessible scenic gems along the North Shore are located within the boundaries of the state parks. Cascade River State Park is 29 miles from Grand Marais. A hiking trail and bridges provide nice views of the waterfalls and cascades giving the river its name. Minnesota parks require purchase of a day vehicle sticker, but one pass is good for 24 hours and will provide admission to any of the state parks along the north shore. If you are camping, know that as you get closer to Duluth available campsites at the state parks get increasingly more difficult to obtain. 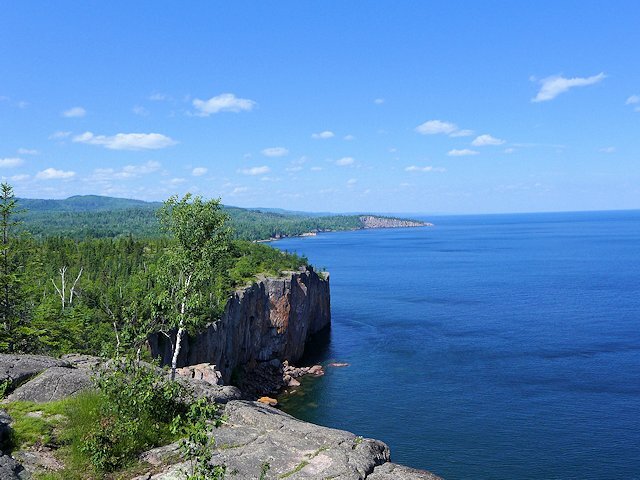 The next state park and worthwhile scenic stop is Temperance River State Park. If you have a day visitor pass for your vehicle, you can park in the regular parking lot. If not, you can park free along the highway. One short hiking trail goes towards the lake and crosses a bridge offering good views of the river and the lake. Another slightly longer hike away from the lake follows the river, crosses a bridge and then loops back to the highway. Along the way you can see how the river has carved gorge’s and potholes in the bedrock. 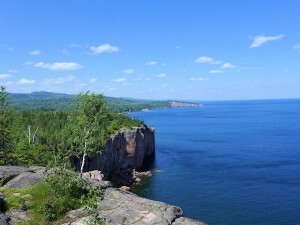 Continuing your drive on Hwy 61, you come to Tettegouche State Park and Wayside. There is no charge for parking in the wayside parking lot for a few hours. That gives you enough time to walk to nearby lake overlooks, plus hike some of the lakeshore trails. One trail leads to Shovel Point, an oft photographed scenic site which happens to be featured in the SuperiorTrails.com masthead. While not quite as popular as Gooseberry and Split Rock, campsites at Tettegouche do fill up fast. If you didn’t stop at Tettegouche or weren’t in the mood for a short hike, only a few miles down the road you can drive up to the overlook at Palisade Head. It is a short winding drive that takes you to the top of a 350 feet high bluff. From the overlook on a good day you can see 30 – 40 miles. After passing through the communities of Silver Bay and Beaver Bay, you soon come to one of the North Shore’s most popular attractions – Split Rock Lighthouse State Park – a Minnesota Historic Site. There is an admission charge for the tour of the lighthouse, grounds and the history center. The unique cart-in campsites at Split Rock’s campground are nicely wooded and well isolated from one another, many with views of Lake Superior. Reservations are recommended. Allot at least an hour for the Lighthouse Tour. A short distance down the road is the other premier North Shore attraction – Gooseberry Falls State Park. There’s a free wayside parking area there and a large parks visitor center. There you can get information about all the parks along the North Shore, natural history educational material, and other information of interest to outdoors enthusiasts. A network of trails, including some that are handicap accessible, allows you to view the upper and lower waterfalls from many angles. You can also hike out to the mouth of the river or take a high bluff trail overlooking the lake. Unless it very dry and the rivers slowed to a trickle, stopping at Gooseberry is a “must see” along Minnesota’s North Shore. Figure 1/2 hour to two hours depending on your hiking ambitions. Gooseberry has a very popular full service campground which ordinarily requires advance reservations unless it is the off season. 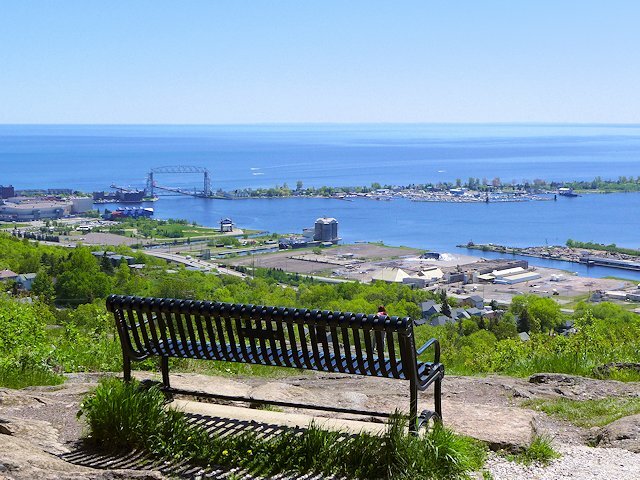 When we are not rushed, we enjoy stopping in downtown Two Harbors to visit the Vanilla Bean Cafe and the Superior Hiking Trail store across the street. We also enjoy a side trip to the main Harbor and Lighthouse for a short hike on the Sonju Walking trail. 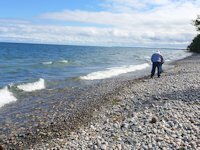 Burlington Bay is a popular municipal campground and its beach is prime rock picking territory (and occasionally someone scores a Lake Superior Agate). As you leave Two Harbors on Hwy 61 going Southwest, look for the Scenic Drive exit. There you’ll part ways with harried vacationers who are taking the inland expressway to Duluth in favor of a more leisurely 20 mile drive along the lake. Once in Duluth, you rejoin the major flow of traffic. There are numerous impressive waterfalls along the North Shore and the famous Superior Hiking Trail, which runs from Duluth to Grand Portage, intersects with the hiking trail systems in the State Parks to provide an extensive network of day hiking opportunities, many to the top of the various mountains that stretch inland along Lake Superior. You can see some of these in our pages on our Seven Summits Fall Color Hikes pages. The attractions offered by Duluth merits a few hours of your time and can easily occupy several days. At the very minimum exit off I-35 at Canal Park. Work in a short stroll on the Lakewalk to the Aerial Lift Bridge. At the base of the bridge is the Maritime Museum. 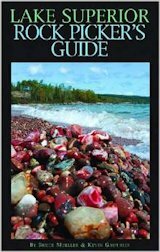 Here you can get a taste of the history of shipping on Lake Superior plus see a schedule of the coming and goings of big ships for that day. If you’ve got more time take the Lakewalk in the opposite direction to Lake Park (climb the stairs) or continue around the bay to the Fitgers Brewery complex.